The short-handled Princeton Umbria Series 6250 is one of our most popular brush lines. It delivers exceptional performance when used with medium to heavy viscosity paints, though it can also be used effectively with casein, oil-based, and gouache-opaque watercolor. 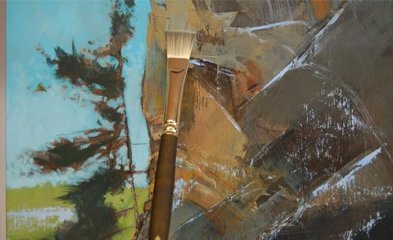 A favorite of acrylic and oil painters alike, its signature velvet handle offers comfort and style to the discerning artist. The synthetic blend of hair provides medium to firm stiffness, allowing for excellent control and precision. 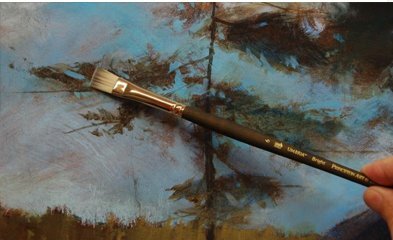 The tip-dyed brushes are available in a range of 9 different shapes and a variety of sizes.